New in Theaters August 4, 2017 "Detroit" and "The Dark Tower"
Based on the series of novels by Stephen King, very loosely based that is, is “Dark Tower” which is all about a kid who jumps into another dimension to find the last gunfighter, who is trapped in eternity, and together they face an evil being known as “The Man in Black. “The Dark Tower” is an excruciatingly bad movie replete overly confusing plot lines, terrible special effects and unintentionally funny dialogue. The film, which takes its story from the 8 Stephen King novels and tries to blend them together, fails miserably at capturing the audience. Both Idris Elba and Matthew McConaughey are completely lost in this epic mess which falls apart after the first 30 minutes into the film. “The Dark Tower,” is so bad that under the Geneva Convention it should not be allowed to be seen by prisoners. Check out more Stephen King novels that were turned into films like "Cujo," "Christine," and "The Shawshank Redemption" at dvd.netflix.com and use this code bit.ly/dvdtonyt for special discounts! It's 1967 and amidst the chaos of the Detroit Rebellion, which turned into a race riot. The Michigan National Guard were called in to patrol the streets when three young African American men were murdered at the Algiers Motel. 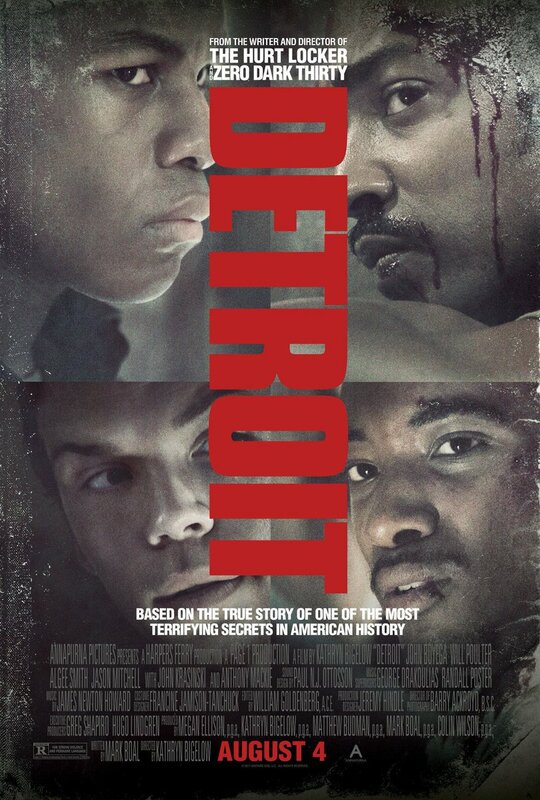 Directed by Kathryn Bigelow, “Detroit” is a very gritty film that makes full use of its lead actors, but Bigelow decided to use locations in Massachusetts for exterior scenes in lieu of the actual city of Detroit as a backdrop, which hurt the film's integrity. There are also pacing problems and some facts about the events are either omitted or lightly presented. What we are left with is a film bursting with 50 years of questions, yet presents no answers. “Detroit” could have done much, much better in presenting itself historically, but failed to do so. The film gets a C and is rated R.
If you'd like to experience other Kathryn Bigelow films check them out at dvd.netflix.com and use this code bit.ly/dvdtonyt for special discounts!